After the “Super Shenron” colorway of the Dragon Ball Z x adidas EQT Support ADV PK first surfaced last month, the sneaker now has an official look and confirmed release date. 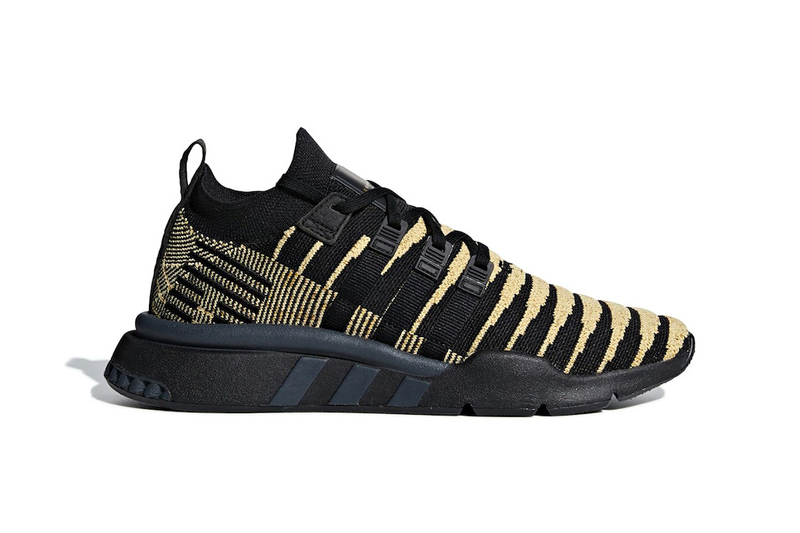 The sneaker features a black and gold primeknit upper, with a design intended to reference a dragon’s scales. Other features include EQT branding on the toe boxes, and the Chinese characters for dragon on the medial heels. The sneaker is then finished with all-black BOOST cushioning. The “Super Shenron” is the final sneaker in the Dragon Ball Z x adidas collaboration, and takes its name from the dragon who emerges when all Super Dragon Balls are gathered. The “Super Shenron” colorway will release alongside the EQT Support ADV PK “Shenron” on December 22. In other footwear news, get an up-close look at TAKAHIROMIYASHITA TheSoloist.’s collaborative Salomon alpine boots. The label’s third in the city. Technical trail-boots with subtle branding. Ahead of the final ‘People Just Do Nothing’ episode. Coming after Sterling spoke out against media racism in the UK.